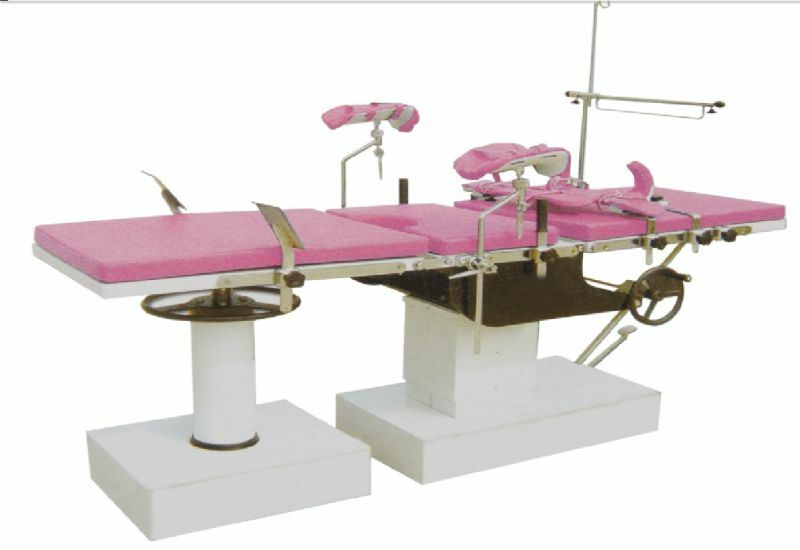 Description:This table is used for birth-giving and gynecology surgery. The up and down motion is motivated by hydraulic system. 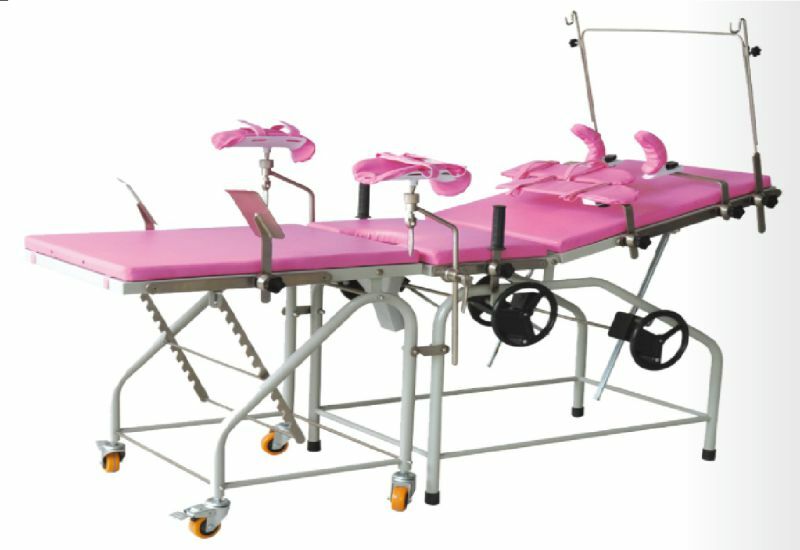 The back and forth leaning of the board and the folding, turning motion of the leg board are controlled by worm gear, wheel gear and gear rack. All these movements can be adjusted and locked within fixed scope, easy to operate. The leg board is dismantable.